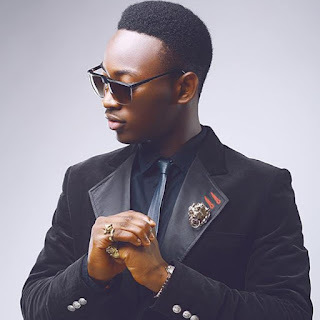 The fraud and identity theft saga against singer Oyindamola Johnson Emmanuel, popularly known as Dammy Krane may be finally over as Dammy arrived Lagos Nigeria following the saga in the U.S. The singer shared a video of himself and fans jubilating over his arrival at the airport. Dammy’s troubles in Miami-Dade began on June 1, according to a police report shared with New Times, when agents from the mobile-phone booking app TapJets called police. The jet company told Miami-Dade Police that Krane and a partner, Chukwuebuka Ilochonwu, had booked a $10,943 trip on a jet from Opa-locka to Washington, D.C. However, the US court struck out the charges of credit card forgery, armed conspiracy and grand theft that was filed against him after he appeared for his trial at 9:15am on August 17, 2017 at the Justice Building, Room 4-3 with Courtney Erik as his defence attorney and Migiel De La O as the judge. Dammy was finally discharged and the case was officially closed. Although, shortly after he announced his victory on the social media, Tapjets company still insisted that the case wasn’t totally over yet. But we hope that the case for the singer is finally over and he can get back into the studio.